We've recently lauched our new website. 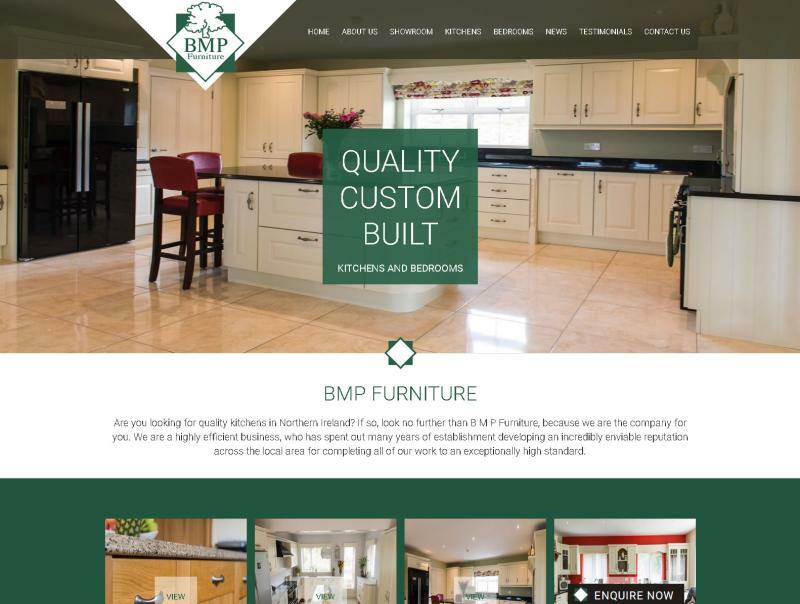 At BMP Furniture Ltd we specialise in the design, manufacture and installation of both kitchens and bedrooms, with contemporary and traditional styles available. As well as this, built-in and free standing kitchen appliances are also available. Be sure to check out the Bedroom and Kitchen galleries of work we have completed in the past and also keep an eye on your Facebook page for all the latest updates. If you would like to find out more in regards to what we do and the services we offer, you can contact us on tel: +44 (0)2830 851549 and mob: +44 (0)7798 642541. Alternatively you can complete the contact form on the contact us page of this website. The site was designed and developed by ITS New Media based in Newry.